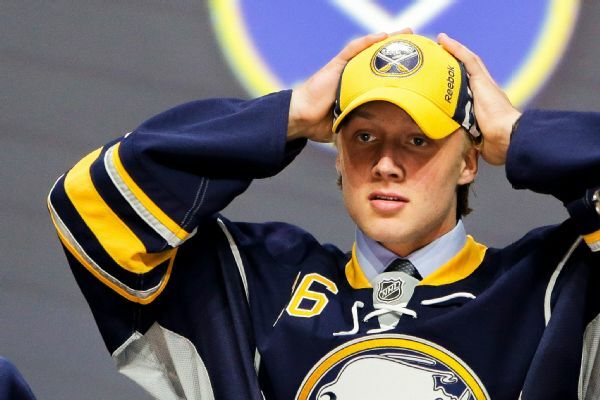 The slumping Buffalo Sabres have recalled forward Alexander Nylander from the minors. The Buffalo Sabres have assigned 2016 first-round draft pick Alexander Nylander to the minors as part of a series of moves to set their season-opening roster. Buffalo Sabres top prospect Alexander Nylander was called up from the minors and made his NHL debut against his older brother, William, and the Toronto Maple Leafs. Alexander Nylander, whom the Buffalo Sabres selected with the No. 8 pick in this year's draft, will represent Sweden in the IIHF World Junior Hockey Championship next week.